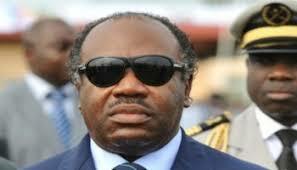 Gabon foils coup – Royal Times of Nigeria. A group of soldiers sought to take power in Gabon on Monday while the country’s ailing president was abroad, but the government declared the bid had failed and the rebels had been arrested. 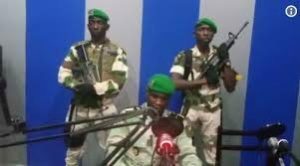 Soldiers burst into state radio offices at dawn and called on the public to “rise up” after President Ali Bongo suffered a stroke last year while out of the country. Shots were heard around state broadcasting headquarters in Libreville, capital of the oil-rich West African nation, at about the same time as the message was read at 6:30 am local time. But within a few hours, government spokesman Guy-Bertrand Mapangou told newsmen that calm has returned and that the situation is under control. Of the five who entered the radio station, “four have been arrested and one is on the run,” according to Mapangou. He added that security forces have been deployed in the capital and will remain there over the coming days in order to maintain order. The dramatic developments came as Bongo is living at a private residence in the Moroccan capital Rabat after suffering a stroke. He made a televised speech on New Year’s Eve but has not been in the country since October.